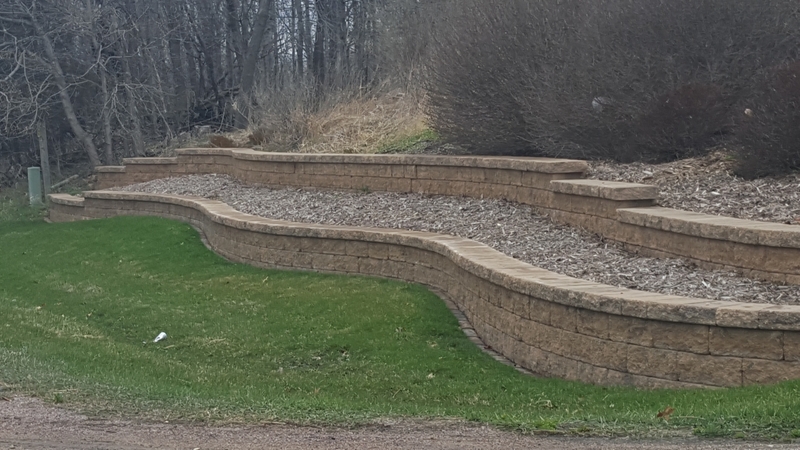 This property is located in New Prague, overlooking beautiful Sand Creek. 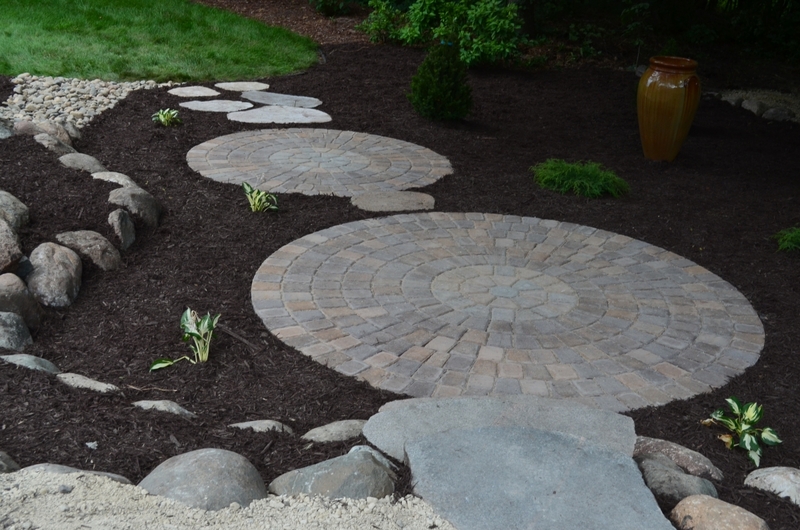 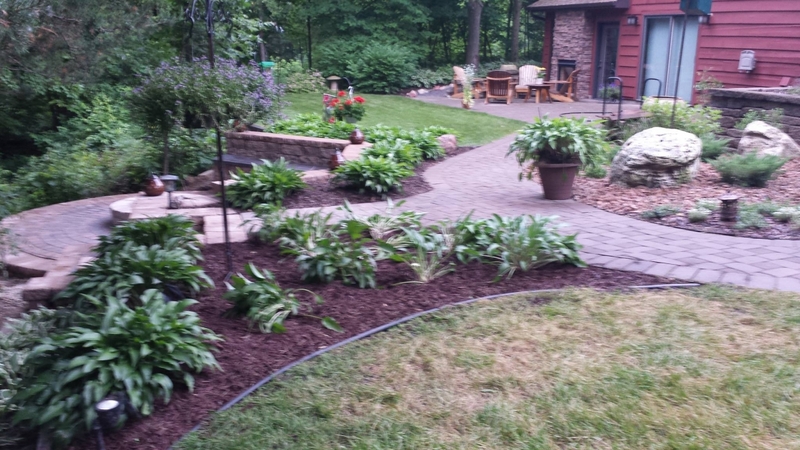 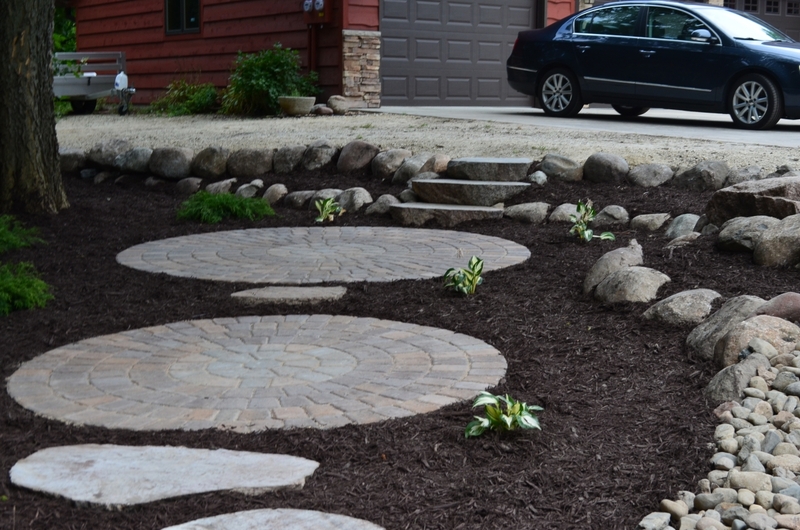 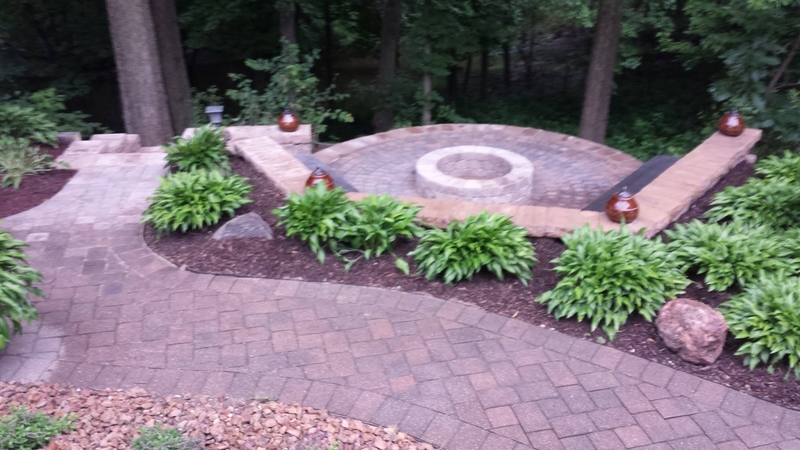 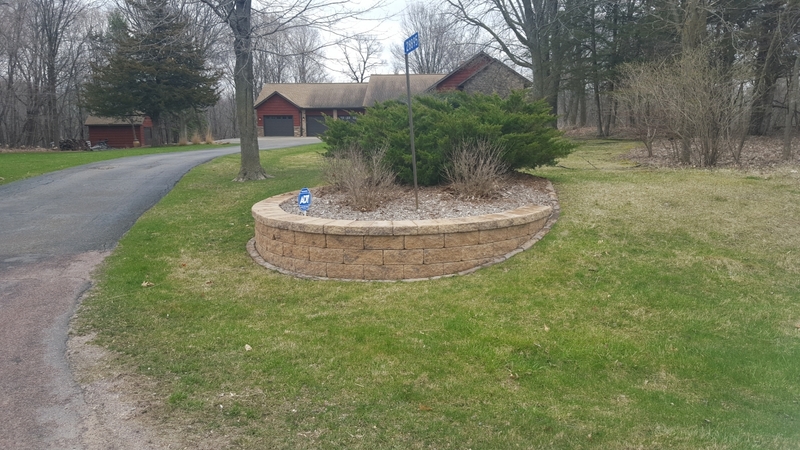 We designed a multiple phase landscape upgrade that we installed over four summers. 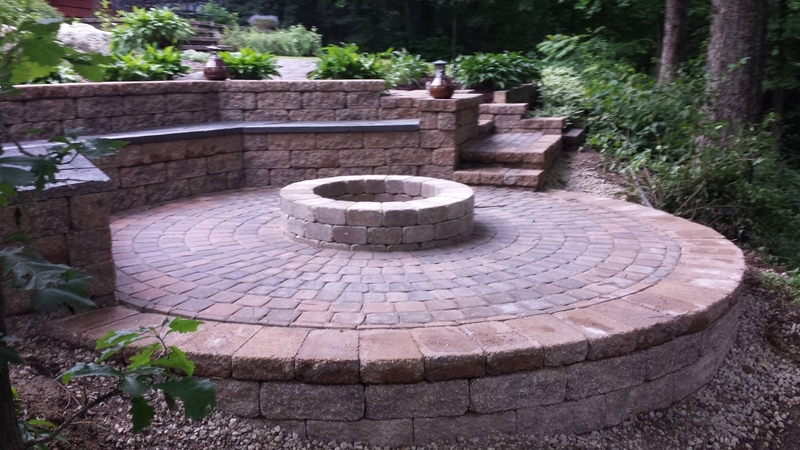 It included a very unique fire pit patio with a built in bench, custom steps, walkways, shade gardens and pond-less water features.